Gone are days when only Apple used to launch something new for its users first, now Samsung is taking the lead by launching new features and unique design. A patent is all over the internet filed at USPTO which reveals every minor detail regarding Galaxy Note Flagship upcoming device. This patent shows that Samsung has plans to completely remove both notches and punch hole display designs. Don’t get worried! You will still be able to take selfies with the Samsung Galaxy S pen that comes with the device. Last time Samsung had added Bluetooth capability to the S-pen. 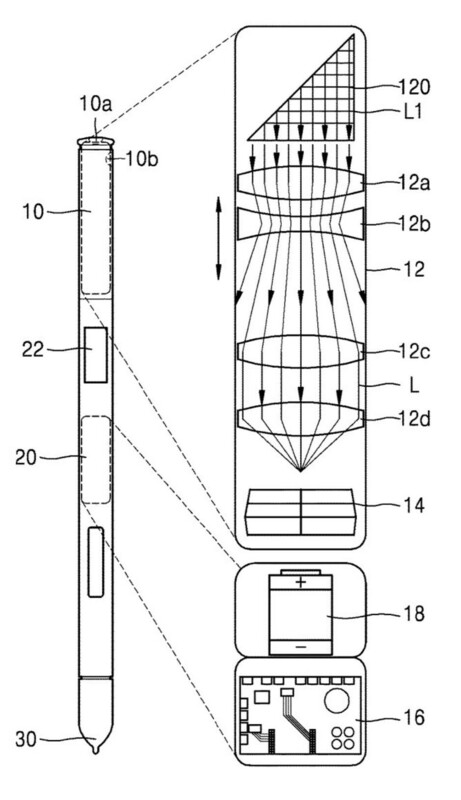 The inclusion of camera into the Samsung Galaxy S Pen will feature one lens and an image sensor. The camera embedded into the stylus will be controlled by an external button. Another button will be placed on the S Pen that will allow users to Zoom in and Zoom out while taking the picture. The patent also confirms that this camera embedded S pen will come with Galaxy Note Device however it does not specify on which device it will come. This patent was first spotted by PatentlyMobile. It a good idea to incorporate a camera to S-pen however one thing needs to ponder upon, what if the S-pen will stop working just like in previous Galaxy Devices? Does it mean selfie lovers won’t be able to take selfies? 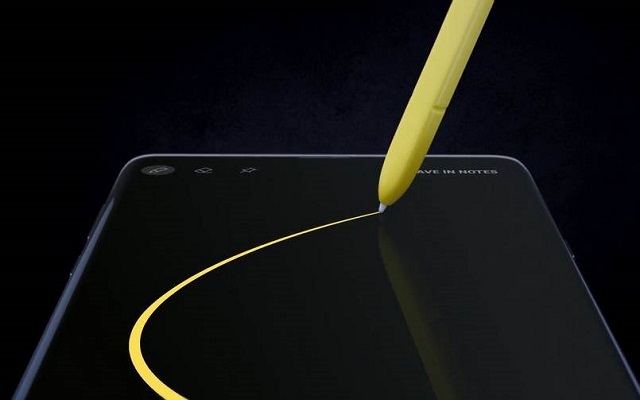 Previously many users had reported that S Pen in Galaxy Note 9 was broken due to no reason. Maybe Samsung is looking to improve the quality of S-pen this time. Well, let’s see how S Pen will replace the Galaxy Note selfie camera. Are you Excited?